Depoe Bay ocean front home with 210 degree views of the Pacific Ocean, Little Whale Cove, tidal pools & rocky coastline. 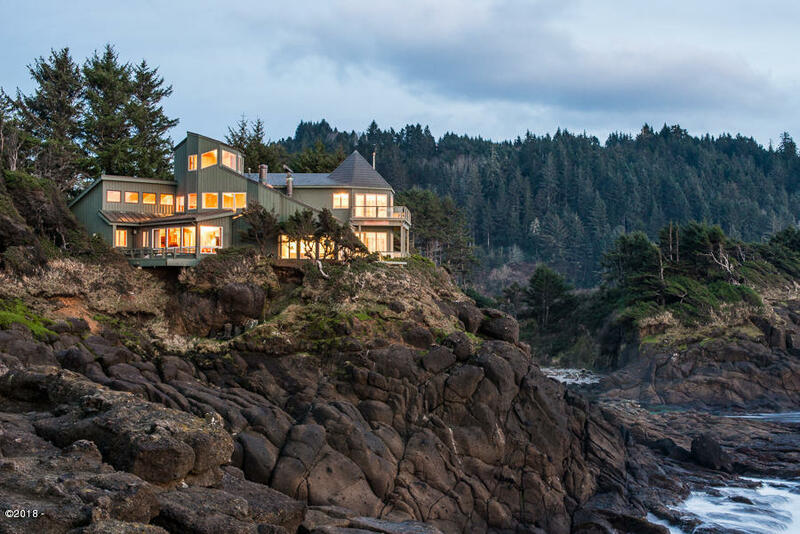 One of the most stunning settings on the Oregon Coast, this classic mid century design features an attached guest apt. w/ fireplace & kitchenette, 2 fireplaces in main house, large kitchen with stainless appliance, large game room or family room which could be converted to main level master and Crows Nest viewing room.